When do you think your most important work of the day takes place? Maybe it’s in the middle of the day when you are in the thick of creative projects at work? Maybe it’s the volunteer work that you do after your “real” job? Maybe it’s in the evening when you are spending time bonding with your family? Maybe it’s right before bed as you spend time reflecting on the day? This is all important work. For me the most important work of the day happens right up front, first thing in the morning. I wake up early – always have – a blessing and a curse passed down from my Dad’s side of the family (mostly a blessing, I only say a curse because I’m usually toast by 9:30 pm). I’m on autopilot a little first thing. I put the tea water on, do some yoga while waiting for it to boil, and then fortified with my steaming mug I sit down and get to work. And by getting to work I mean I sit down and meditate. How can I consider sitting and doing “nothing” as my most important work of the day? Here’s what happens for me when I meditate. I give myself permission to relax with purpose. I can physically feel the calm wash over me as I start. When my mind starts to chatter (which it will inevitably do) I give myself permission to let it go. Have you ever had the experience when you can’t stop thinking about something, or someone, or a certain situation and you go over and over it again in your mind? Meditation is like taking a deep breath and saying “time out”. Meditation helps me let go of the chatter and opens up space for calm, for creativity, for peace, for gratitude. It helps me to recognize that I already have everything I need in this moment. It makes me feel more positive. I can’t tell you how many times I’ve finished meditating and when I’ve looked up I’ve been struck by just how beautiful the world around me is. And those feelings often stay with me through the whole day. They help me to be a more patient parent, to be a more creative soul, to approach stressful situations in a calmer way, to focus on the positive, to want to connect with the people around me. I’m certainly not trying to suggest that meditation makes me perfect – just that personally it helps me realize who I want to be and how I want to move through the world. And that for me is the most important work of the day – to set an intention of how I want to see and interact with the world around me. So how will you set your positive intention for the day? Some people pick a daily mantra, or give themselves a pep talk in the mirror. Some people pray. Some people break a sweat. Some people snuggle with their children. The way we start the day matters. It is important work. It sets the tone for the entire day and that spills over into the rest of our lives. Find whatever it is that makes you feel love, connection, happiness first thing in the morning and do it every day. 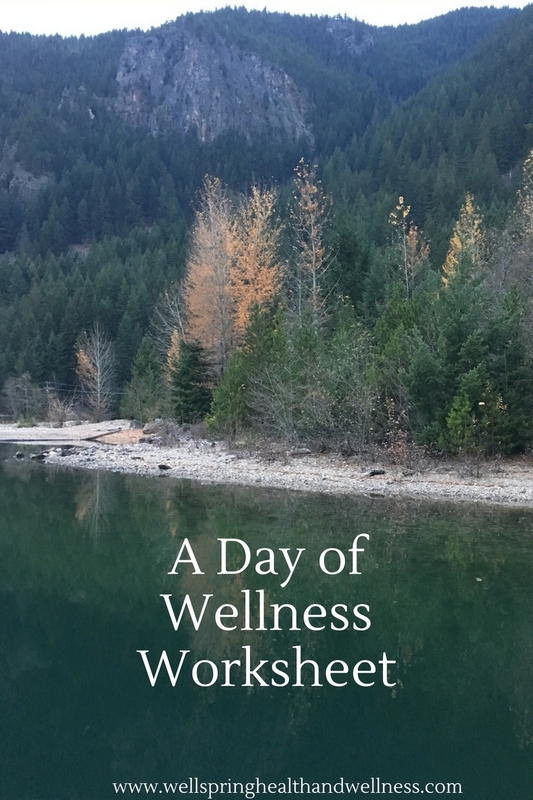 ​Come be part of the Wellspring Facebook group or sign up for my monthly newsletter for more tips, tricks and inspiration for leading a happy, healthy life.